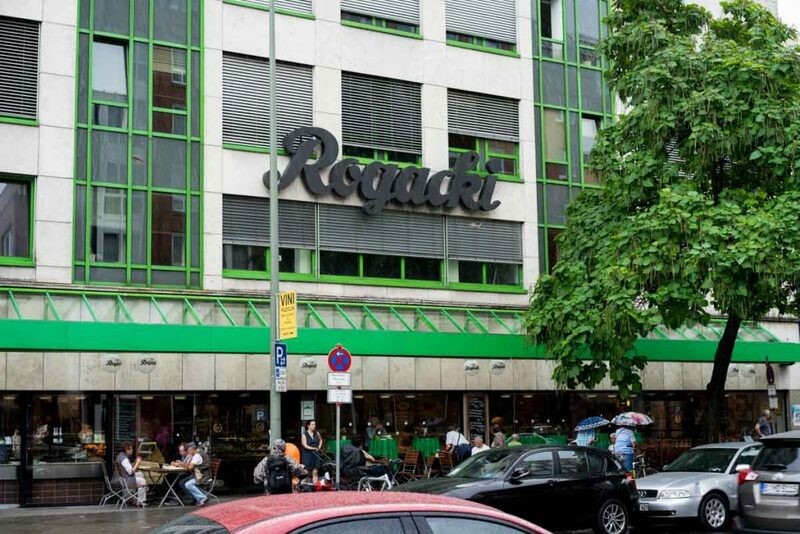 Rogacki is the iconic Delikatessen in West Berlin and a focal point for hungry Berliners from all across the city. With over 90 years of history, Rogacki is celebrated for its fish smoking and food court and is one of the few, historic food destinations in Berlin worth visiting. 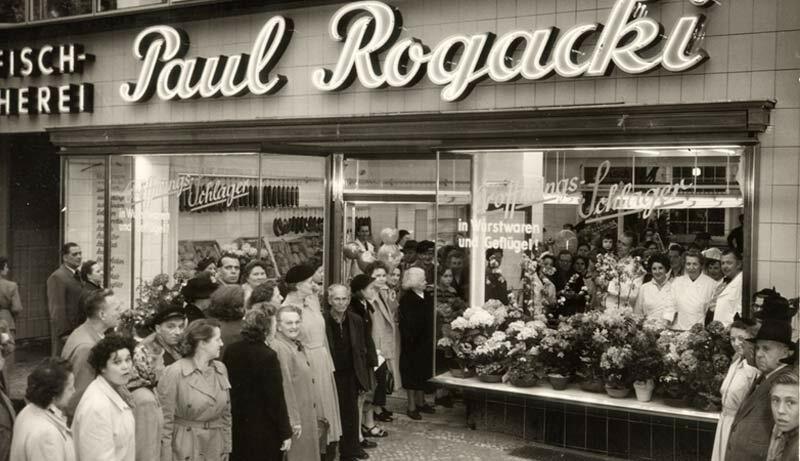 The very first Rogacki shop was opened in Wedding in 1924 and in 1935 the shop moved to its current location in Charlottenburg where the operation is led today by the grandson of the original founders. During the war, the original Rogacki shop burned down and after 1945, the owners rebuilt the whole shop and then expanded the venue in 1955 to the size we know today. 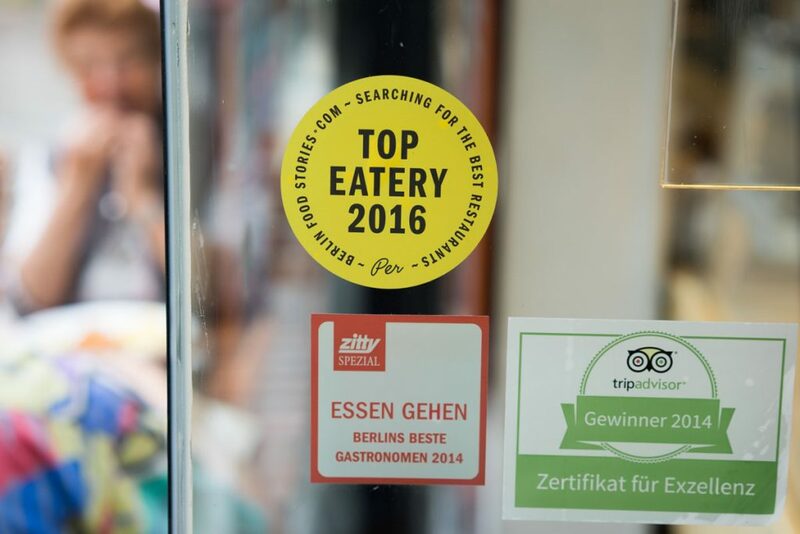 A visit to Rogacki is an experience far away from the hip burger joints and vegan doughnut fundamentalists Berlin is known for today. 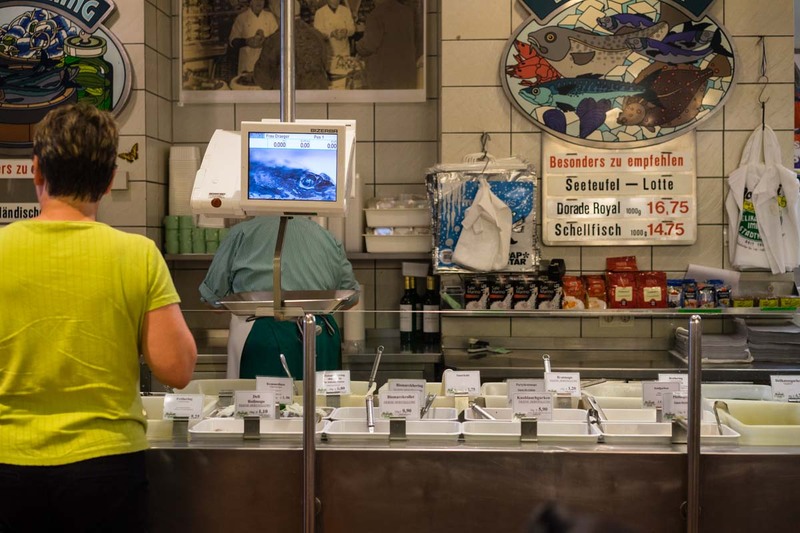 Just like a visit to the KaDeWe, Rogacki provides a rare glimpse into the old world of West Berlin through the recreation of a world that’s existed beyond the last 50 years of turmoil in East Berlin. 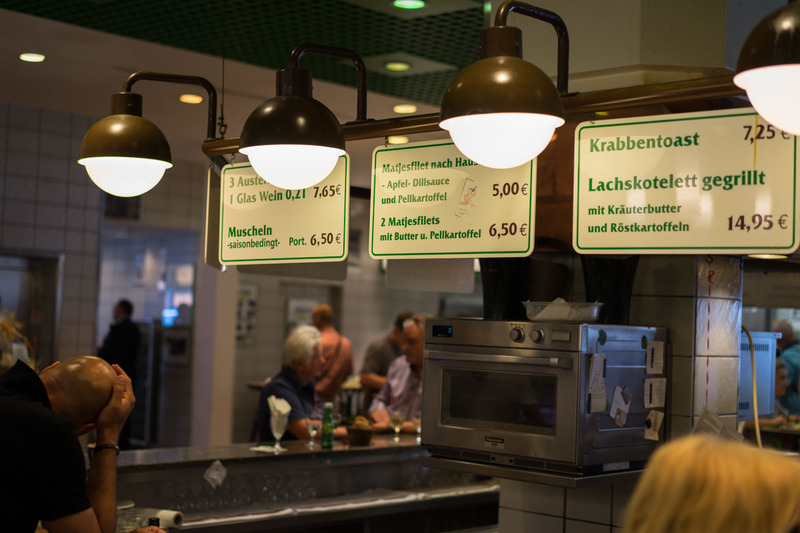 Rogacki is as much a delikatessen as it is a food court, the sides of the venue are occupied by a massive fish section that’s flanked by an equally humongous meat section. Not to forget the charcuterie, salad, bread and cheese sections. 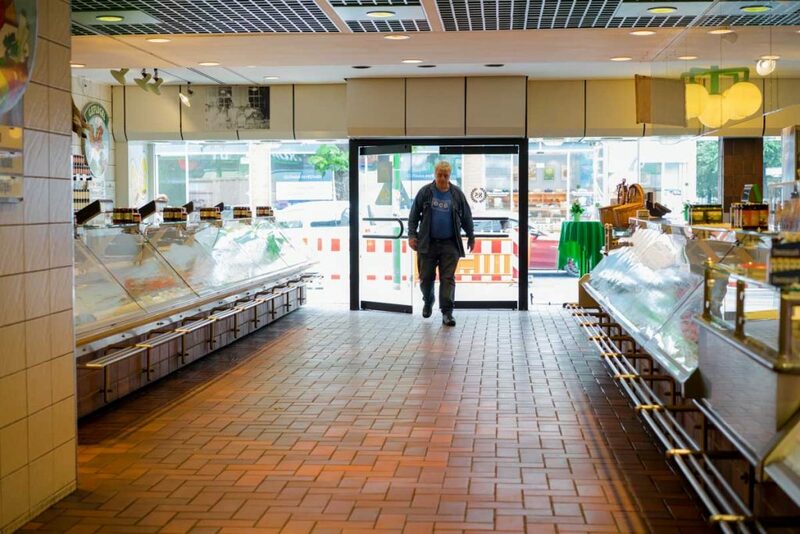 All the way in the back, behind the fish section, throning like ancient giants, you’ll see the heart of this institution, the smoking chambers where all the fish is smoked to perfection over night and throughout the day. 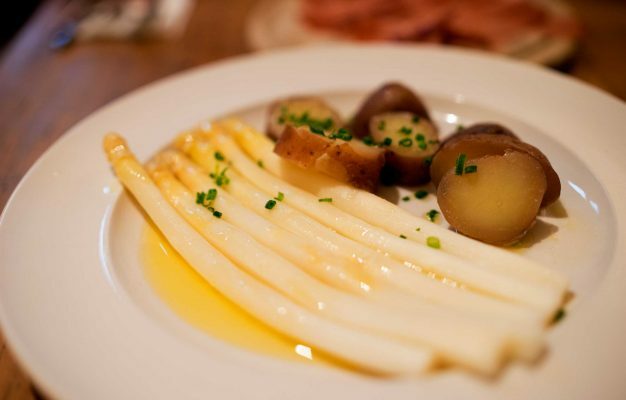 Rogacki is most famous for its smoked freshwater eel that’s mainly caught in the nearby lakes surrounding the city. While the sides are lined by sections for shopping ingredients, the central part of the shop is occupied by several food stalls. 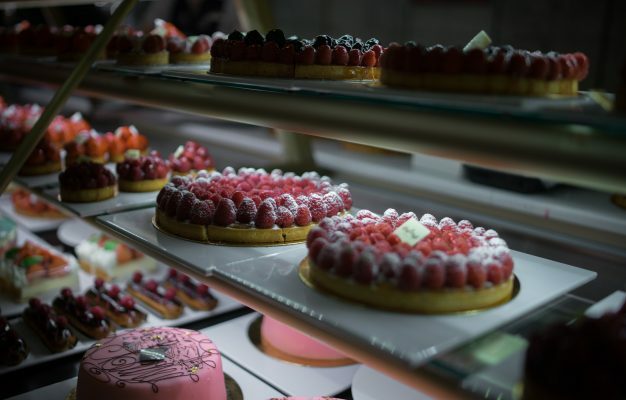 There are many tales about the abundance of great food at Rogacki, this abundance is nothing I can confirm though. Based on high expectations I once found myself between semi-great looking German convenience food and a mediocre pasta that made me question Rogacki altogether. 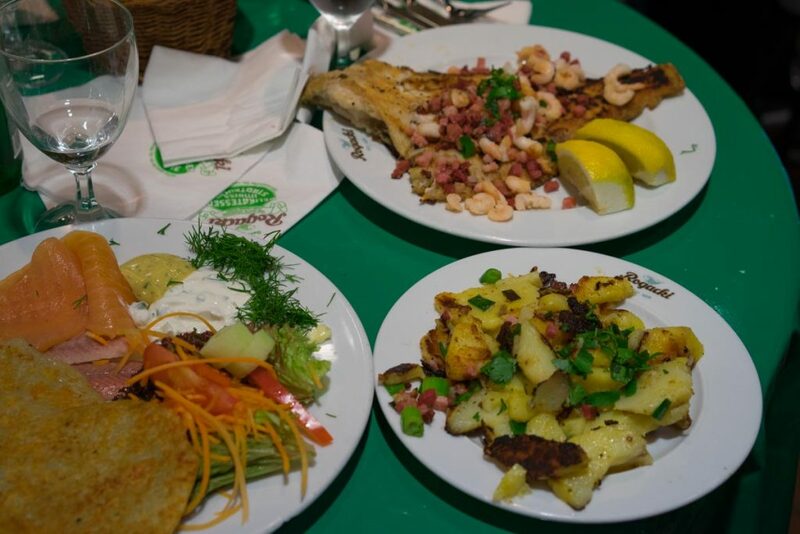 For the record: Most of the food at Rogacki is pretty average. This was right before I discovered that the secret to great food at Rogacki lies in ordering the right things, and there is not much leg room here. 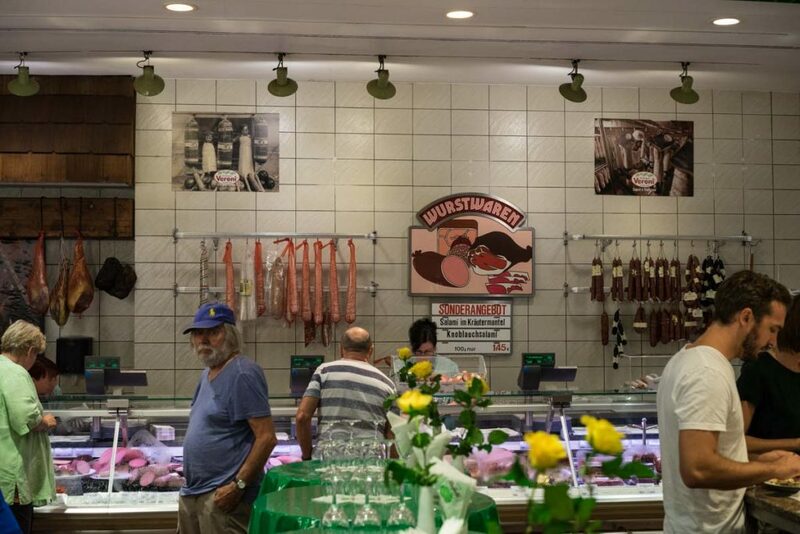 The rules around eating at Rogacki are fairly easy: Don’t eat at the left wall selling German meat classics and don’t eat at the pasta section. 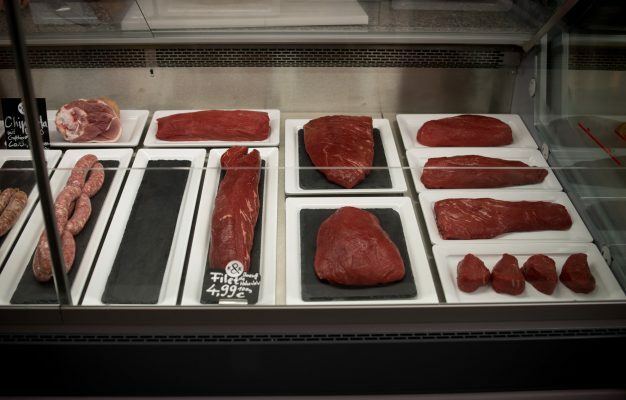 Aim instead for the very middle, the little fish aisle surrounded by seats and hungry guests. 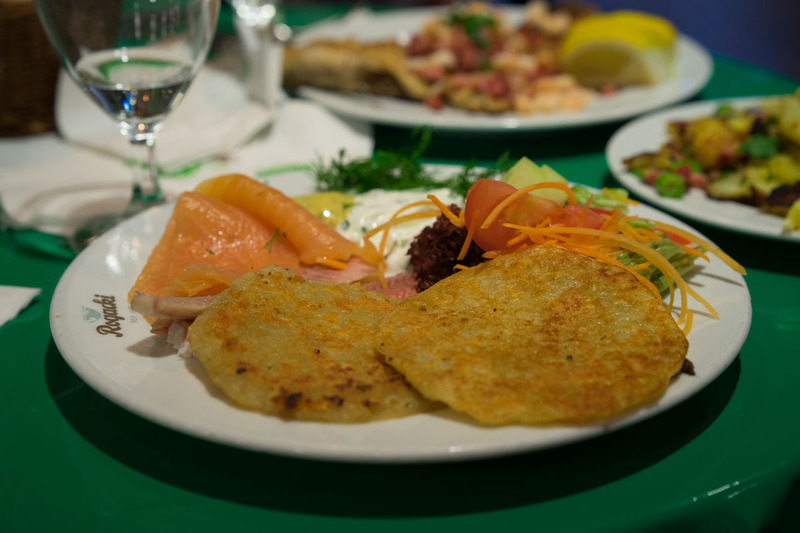 Now, this is exactly the place where you want to eat and there are two things you should order: Either the smoked fish and eel plate with potato rösti, a heavenly combination of perfectly smoked fish (the eel is very good) and crispy hash brown, or the pan-fried plaice with fried potatoes, which, like every good German chef, is laced with an enormous amount of crispy speck, a practice raising the comfort level to unknown heights. 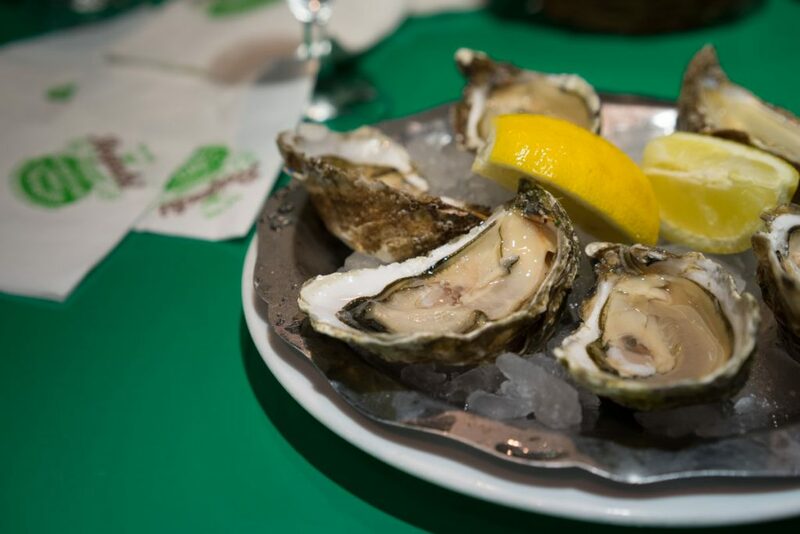 You might wanna add some oysters as a starter. But that’s really as crazy as you should go. 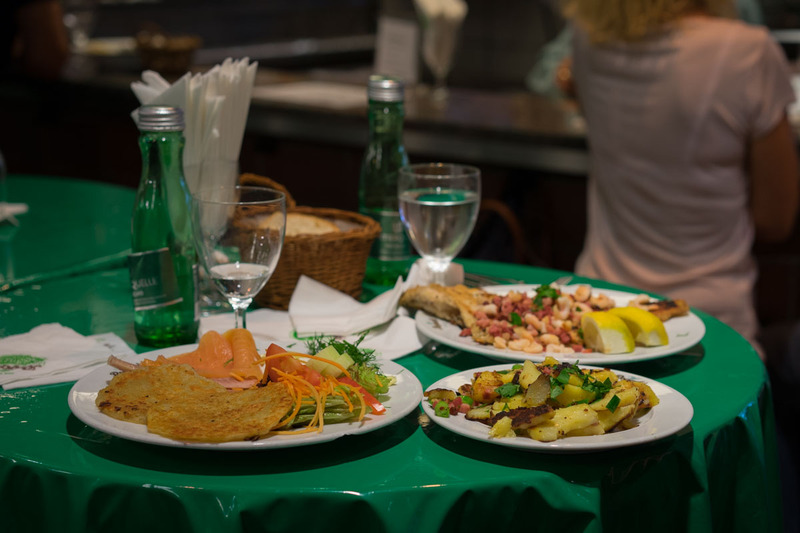 Any alterations from these suggestions might result in rather average meals. 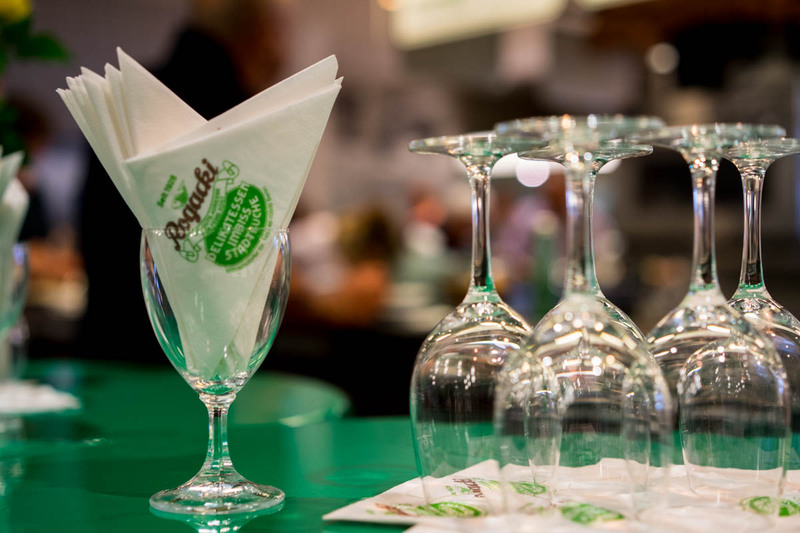 Once you strike up a conversation with the lovely sellers in the stand, dressed in the most adorable, green uniforms, you should let them convince you into having a glass of Riesling with your lunch (oysters come with a glass anyway…) while you strike up a conversation about dogs, children or the weather with your German neighbours. Once you have successfully done this, you have achieved total immersion in the normal day of a white, middle-aged German West Berliner. If that’s the thing you’re looking for.